TUXWORTH SPRINGS is a gated community convenient to Emory University, CDC, VA Hospital, Decatur, and I-285. It is inside the perimeter, just North of the intersection of GA 29 (Scott Blvd) and North Druid Hills Road. To show this unit, I will meet you at the gate to let you in. 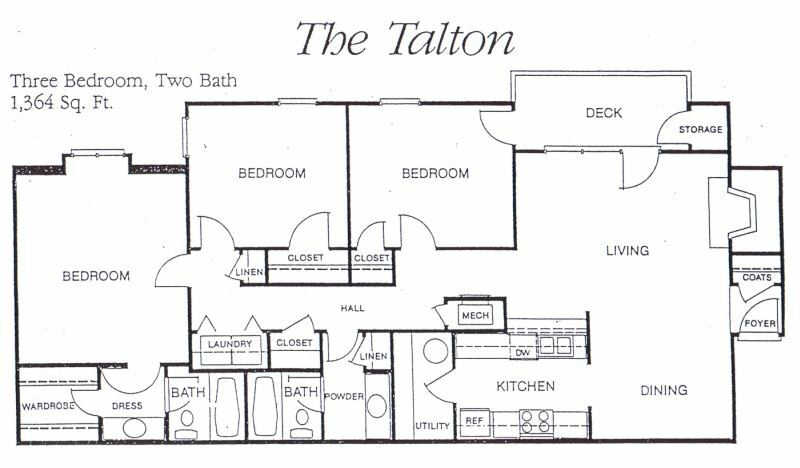 The biggest floorplan at Tuxworth. Big Master Bedroom with private bath. Two more bedrooms with shared bath. Open porch overlooks landscaped parking in front of building. New wood floors. New range/oven. Ready to move in. The best location at Tuxworth. Convenient to entrance but not so close you get the noise of the street. Convenient to tennis court and pool, but not so close you get the noise. View of front of building. 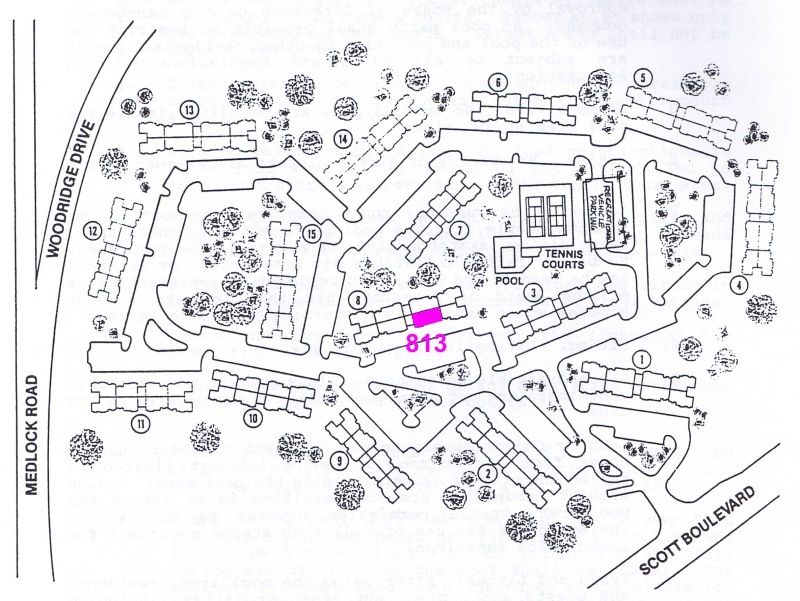 Unit 813 is the bottom, "ground floor" right of the stairs. Enter from inside the hallway. View of the rear of the 813 building, showing the "basement" level condo on the left. There is no condo below unit 813, just a rarely used unfinished storage area. View from the back yard towards the pool/tennis courts area. A very short walk to get there, but far enough away to avoid the noise.